 Send photo & video messages to family & friends â it's the most fun way to chat! Snapchat! Gimme some mo! Snapchat! Get on the floor! Snapchat is the easiest and the quickest way to share a memorable moment with your friends. All you have to do is simply set up a timer and send your message! You can snap pictures with captions on it and the best part is you control just how long your friends have to view it. You start not in a feed or a menu page but in a viewfinder. There are no instructions, no teases about where to go next. 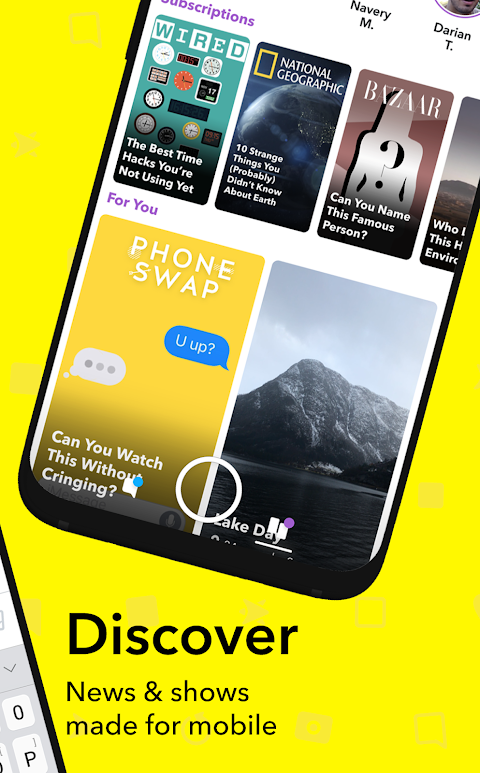 You just have to learn through experience that you swipe from the left to view all your recent conversations, and to the right to view Snapchat Stories from your friends and a curated list of media outlets. Voice filters are now available for all video Snaps. Look for the new Speaker icon that appears at the bottom left of the screen once you have taken a video, then tap this to select a voice filter. One of the most popular filters on Snapchat is Face Swap, which, you guessed it, swaps faces. There's also a new face swap feature in Snapchat that introduces the ability to face swap with a photo from your phone's photo library. Lenses are one of the most popular features of Snapchat. Turn the camera so your face is on the phone's screen as if you were to take a selfie then tap and hold on your face until a mesh appears then release. 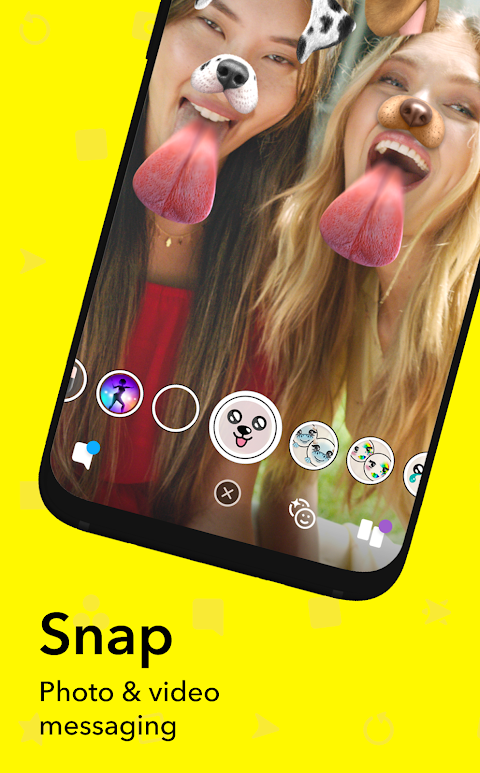 Snapchat will load several lenses to the side of the capture button, which you can slide through to access. There's a new Search bar available on the Camera section of the app. 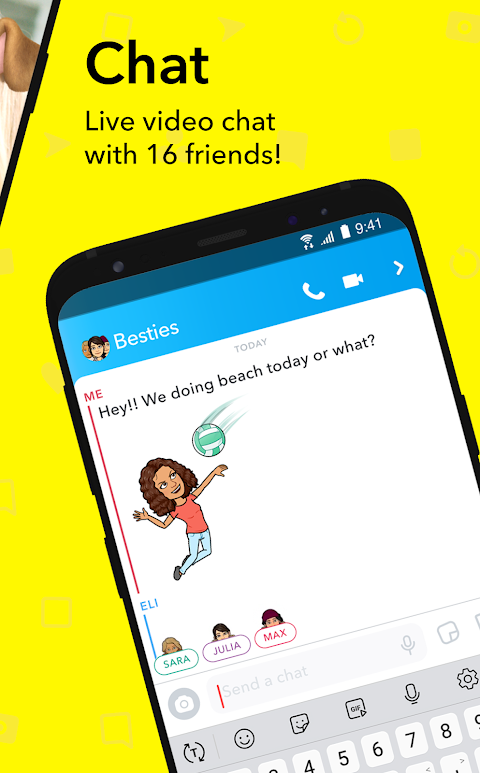 Tap the Search bar to bring up a Quick Chat window that displays the people you've recently spoken to via Snapchat. Simply tap on the profile icon of the person you want to speak to, and you'll be taken to the relevant Snapchat chat. 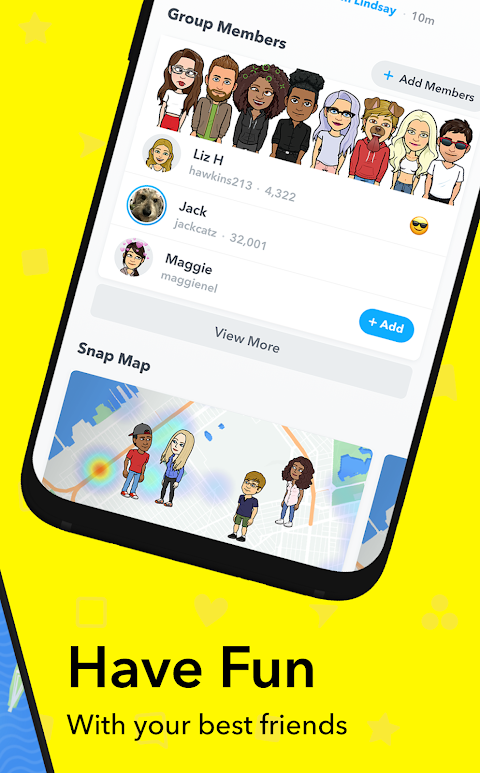 Snapchat is the go-to social app for more than 160 million daily users.  Website: Snapchat | Snapchat, Inc.
 Is Snapchat yours? Claim it!